Our excellent in-house manufacturing facility enables us to manufacture exactly the fencing type which is right for the job. This manufacturing capacity for fencing and gates also means we have complete control over quality, and the delivery date. Manufacturing our own fencing and gates also means we take full ownership of any design work we have also done on a fencing project. In any event, though, fencing products and gates can be hot-dip galvanised to BS EN ISO 1461 and powder coated to ensure a long-term durable and attractive finish. Virtually any colour can be matched, which can be an important consideration where aesthetics are important for a particular fencing project. 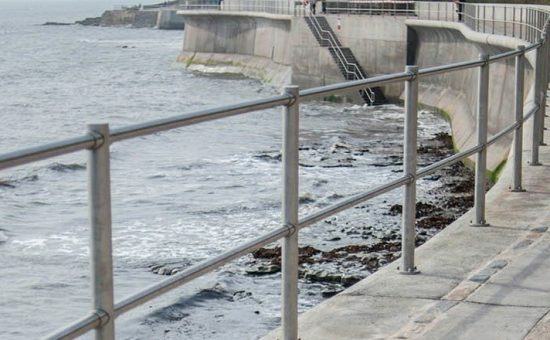 Hinged and sliding gates aren’t just something we can ‘also supply’; We have an integrated business for their design, manufacture and installation. 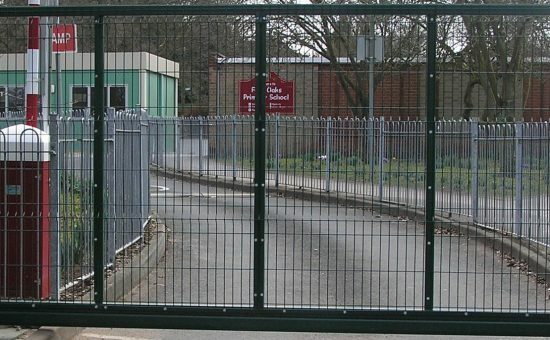 In fact, Procter Swing Gates and Sliding Gates are renowned for being some of the best available, and allowing us to include these as part of a wider fencing contract is likely to mean a more cost-effective solution overall. Our manufacturing operation for fencing and gates is based in West Yorkshire, with this providing a central UK base for our customers. Using our CNC punching and folding equipment and laser profiling, we are able to easily include company names and logos into the designs of gates. 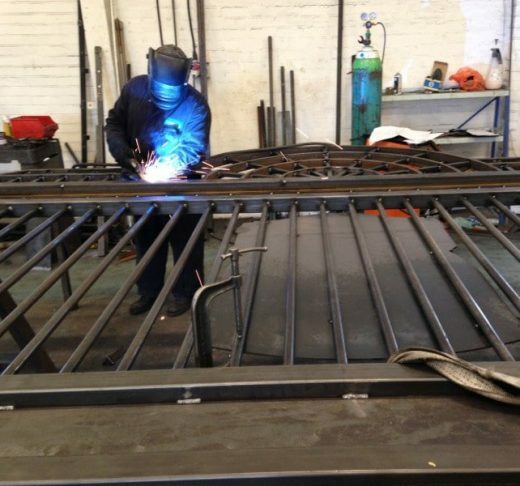 The scale of our manufacturing operation and the highly skilled workforce we employ means we can manufacture gates to cover the widest of spans – which we’d normally tackle with either cantilevered sliding gates or bi-folding gates, though hinged gate for very wide openings can also be an option. We are also able to work in both mild steel and stainless steel, further demonstrating the strength of our manufacturing offer. The manufacture of bespoke railings, and with or without matching gates, is very much a speciality for us, with our skill in this area going back 70 years and more.